One of the recent paradigm shifts in waste management was the change in approach from 'managing waste' to 'managing resources'. Thus, Resource Recovery Facilities are becoming an important part in any progressive waste management system. 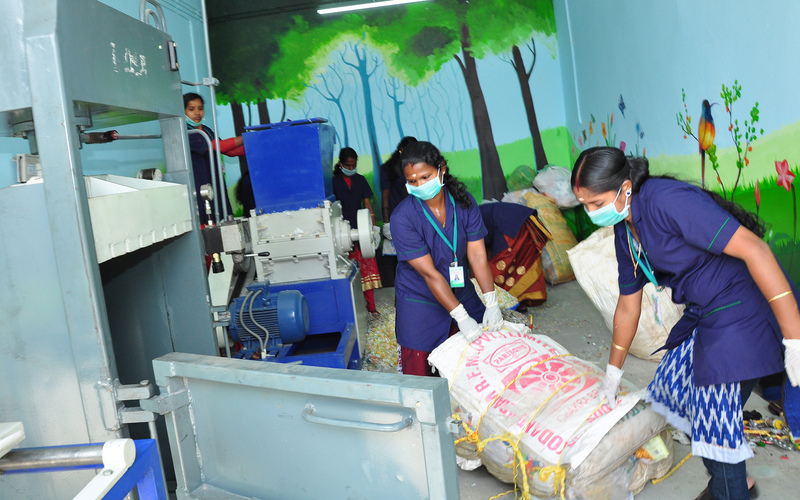 A Resource Recovery Centre is a space provided with necessary infrastructure, machinery, tools and human power to sort, clean and store non-biodegradable discards from primarily sorted municipal waste and made available for production or consumption purposes. RRF will have bailing and shredding facilities. The recyclable waste will be sorted and channelized for recycling while the non-recylable plastics are shredded and used for road tarring.